$1.3 million, Red Rock Country Club, 4 bedrooms and 4.5 baths. $2.8 million, MacDonald Highlands Real Estate, 5 bedrooms, 6.5 baths in Henderson, NV. $2.55 million, Queensridge Las Vegas, 6,700 square feet, 5 bedrooms and 5.5 baths in this beautiful luxury Las Vegas home. $1 million, Canyon Gate Country Club, 3,663 square feet, 4 bedrooms, 4.5 baths, custom cabinets and crown molding. $1 million, Summerlin Real Estate, 5 bedrooms, 4.5 baths and an oasis backyard. $2.33 million, Southern Highlands Las Vegas, 6,651 square feet, 6 bedrooms, 6.5 baths in this luxury home. $1.2 million, The Lakes Estates Home, 4,857 square feet, 5 bedrooms, 4.5 baths, marble and granite, office with upgraded paneling, waterfront home with private dock. $2.55 million, Red Rock Country Club Luxury Home, 5,555 square feet, 5 bedrooms and 4.5 baths. 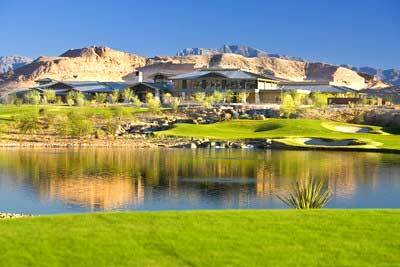 $1.08 million, Lake Las Vegas Real Estate, 2,336 square feet, 3 bedrooms, 3.5 baths, luxury Las Vegas golf course home. Million dollar homes sold in Las Vegas luxury real estate from July 8 - 14 2008.